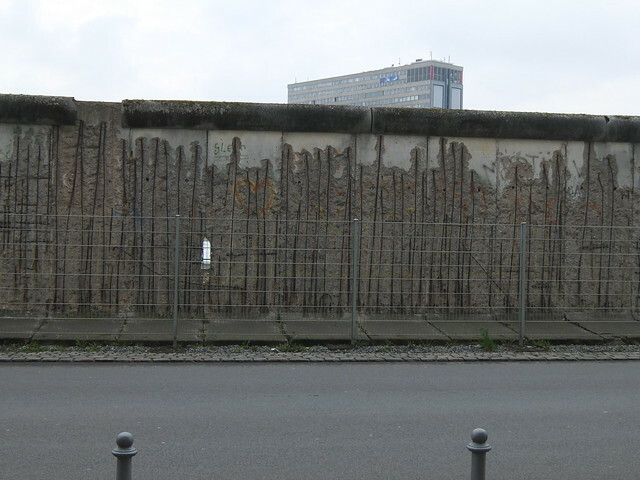 I spent last weekend in Berlin, as part of a work trip to Germany for a conference. 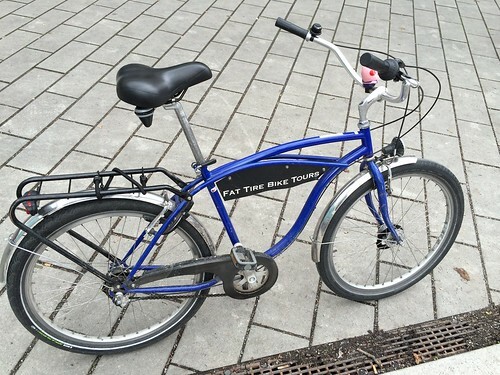 Whilst I was there, I decided to spend some time cycling around Berlin with Fat Tire Bike Tours. I’d spent a few days walking around Magdeburg whilst I was there, mainly from the university (where the conference was) to the hotel, making sure I got to see the sights along the way. I’d considered taking the Brompton with me, as my flight tickets included a checked bag, but I decided not to this time around. I’d looked around prior to going to Berlin to see if they have a bike hire system like the London Boris Bikes - I think they do, but it seemed that it was a lot cheaper and easier to just hire a bike for the day instead (my hotel for example, rented bikes out for €12 a day). Cycling seems a lot more common (or at least a lot safer and more accessible. The lack of hills in Berlin might help as well!) than in London so it wasn’t hard to find myself a bike. However, as I wanted to do a ride around Berlin to see as many sites as possible whilst I was there, I came across, and decided to go on, one of the Fat Tire Bike Tours. They seem to have tours in a few major cities in Europe and it had good reviews on TripAdvisor. 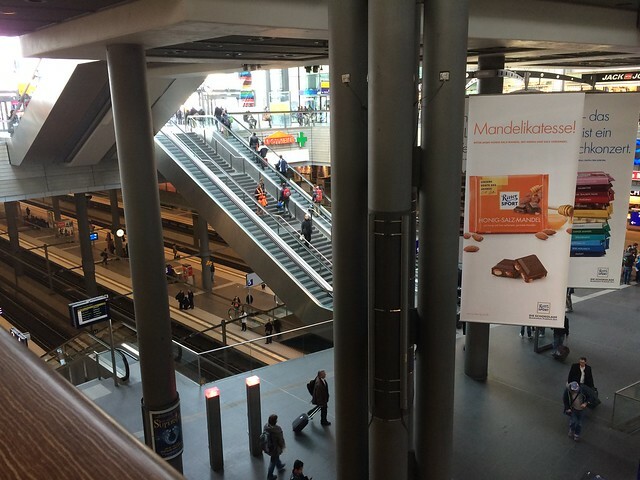 I walked to the Alexanderplatz where we started the ride. 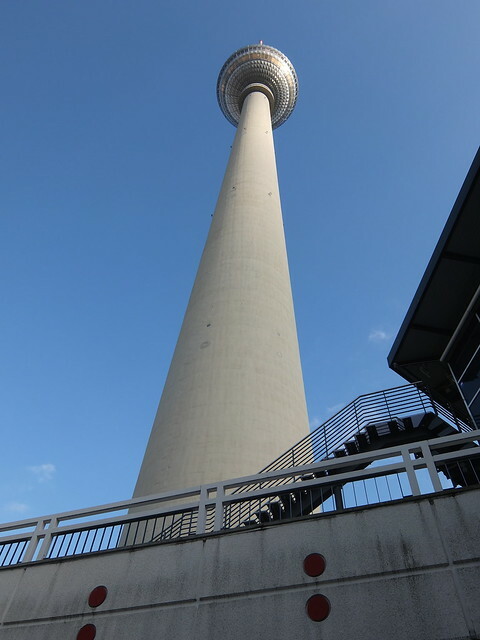 Alexanderplatz is the site of the famous TV tower, the tallest structure in Germany. Bikes for the day were Dutch style bikes. Scarlet (as mine was called) actually turned out to be very comfy and a fantastic way to see the city. With only three gears, there’s wasn’t a huge scope for speed or climbing potential, but Berlin is extremely flat, so that wasn’t an issue! We left Alexanderplatz and cycled around Berlin. This was a quick tour, so there wasn’t a huge amount of time for photos at each stop over but I did manage to get a few here and there. 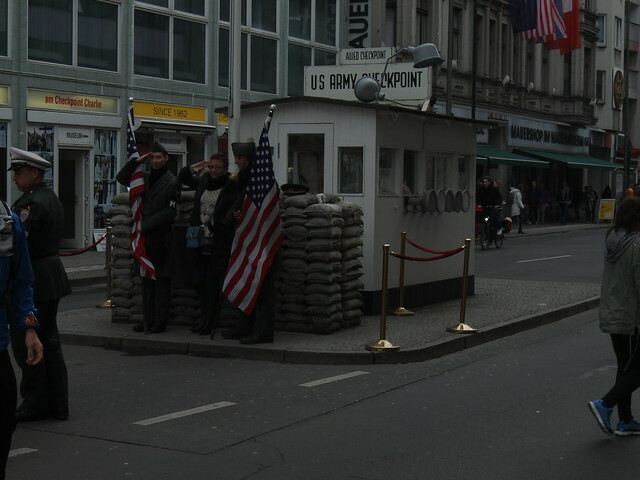 Checkpoint Charlie was interesting and our guide managed to give a good background to how the wall came about which was interesting and not something that I’d really learnt in school, so it was really interesting to find out about it. 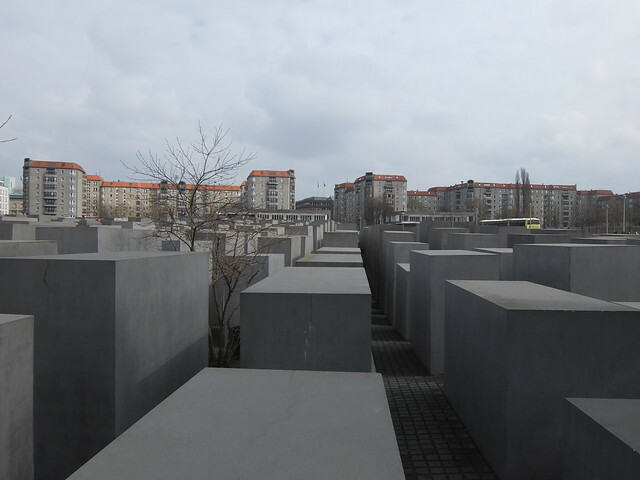 We passed onwards passed onto the memorial for the Jewish Holocaust victims (there are other memorials for the other victims of the Holocaust through Berlin, some near to this one). A quick ride through the Tiergarten and then a stop at a nice cafe which I had some pretty tasty Hackbraten (meat loaf). 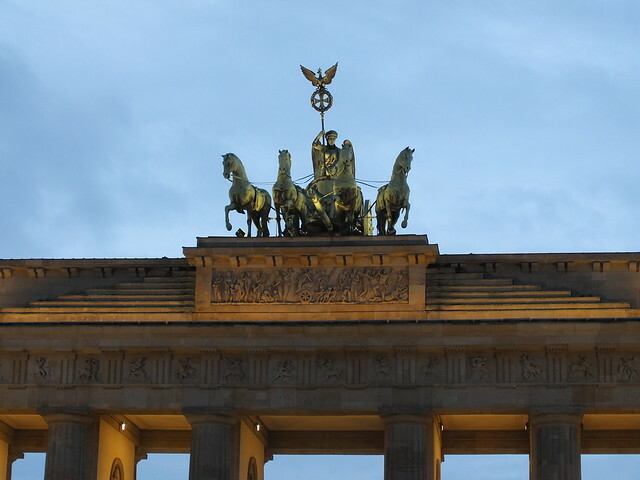 We then came back into Central (or Mitte) Berlin, stopping off at the Riechstag and Brandburger Tor on our way back to Alexanderplatz. 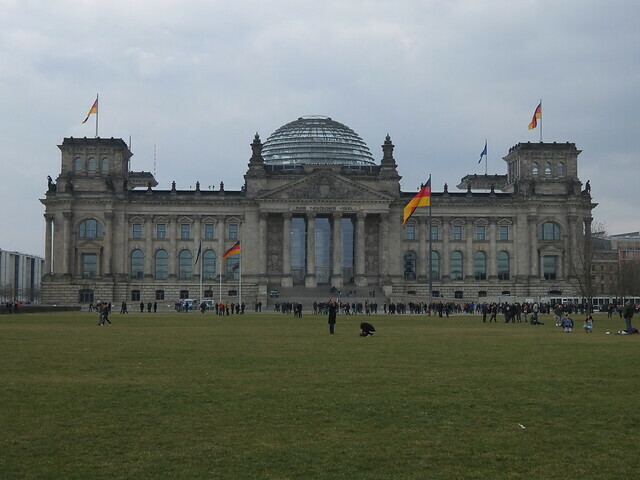 Whilst this was just a quick tour of Berlin, I would love to go again and visit. 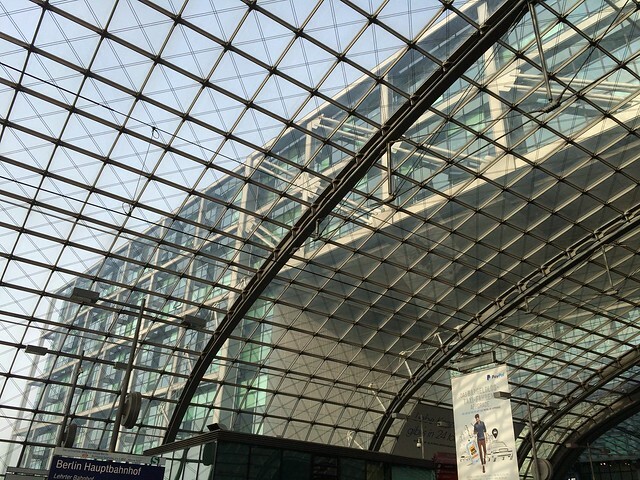 There seemed to be lots of interesting architecture about (the Hauptbahnhof puts some of the London stations to shame!). I would love to go back and investigate some more (by bike of course). Fat Bike Tours also do a trip to Potsdam - I went through this on the train to Magdeburg and it looked like that was well worth visiting as well. Unfortunately, my visit was in March when only the basic bike tours were being run and the tourist season it seems doesn’t start until April. However, that does give me the indication of when to go back next time! I forgot to start Strava quite at the beginning, so the route isn’t quite the full route!